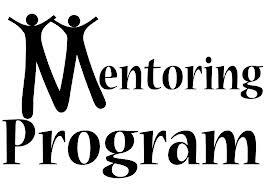 Welcome to the Division’s Mentoring Program on-line handbook. This is for the use of our officially trained mentors. You may download the materials and forms as needed. These forms must be submitted to the Division for review and processing. Lets review the steps that it takes for a new candidate to become a full instructor with the division. STEP TWO –Fire candidates will participate in a NFPA 1001 firefighter one Train the Trainer course. EMS candidates must apply for their provisional IC License and attend an EMS IC orientation program. STEP THREE –Fire and EMS instructors will co-teach no less than 20 hours of curriculum with an approved mentor in order to be cleared to teach and/or coordinate courses. This form is to be completed by either the new instructor candidate or the mentor. It is important to note that NO MENTORING TIME should take place until such time as the agreement has been approved and notification has been received.